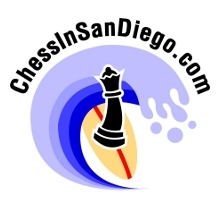 This page has come about from a computer geek’s frustration at trying to locate information online about playing chess in San Diego. The information I wanted to find was difficult to locate, and not collected in one place. This is my attempt to collect that information together. If you have corrections, additions, or suggestions for new content, feel free to email us at info (at) chessinsandiego.com.